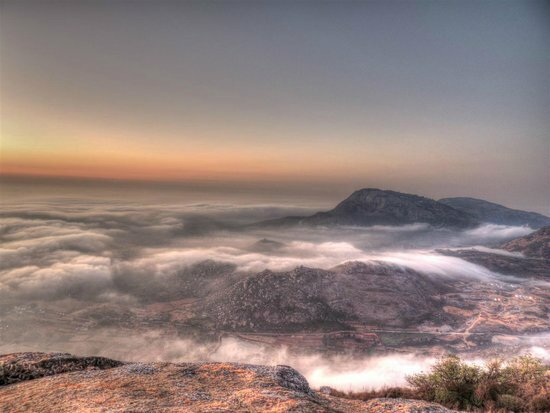 Skandagiri, located about 60 km from Bangalore is a perfect destination forone day outing. 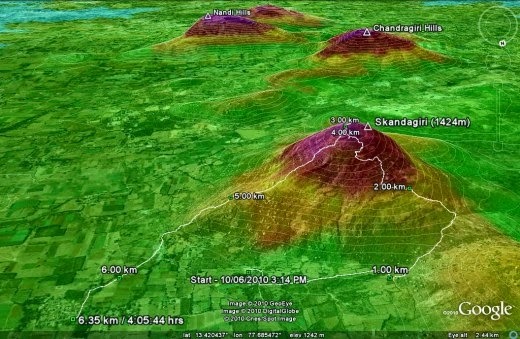 Skandagiri is located close to Bangalore. 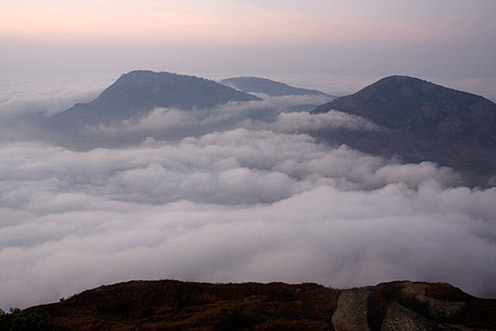 You can take a trip to Skandagiri and back within a day and a half, including the trek to the top. There are regular buses that play from Bangalore to Skandagiri. In order to reach Skandagiri, you need to take a bus from Bangalore and get down at Chikballapur. From Chikballapur, there are two ways to reach the base of Skandagiri hill. You can either take an auto, which takes about 15 minutes, or you could walk to the base. A walk to the base takes about an hour, but you also get the opportunity to explore the rural lifestyle and the scenic views on the way. The trek to the top of Skandagiri is on the easier side, with a well marked out route. The early part of the trek is pretty dry in terms of vegetation. However, as you start getting close to the top of the hill, you start to see lush vegetation. The top of the hill offers panoramic views of the valley below. 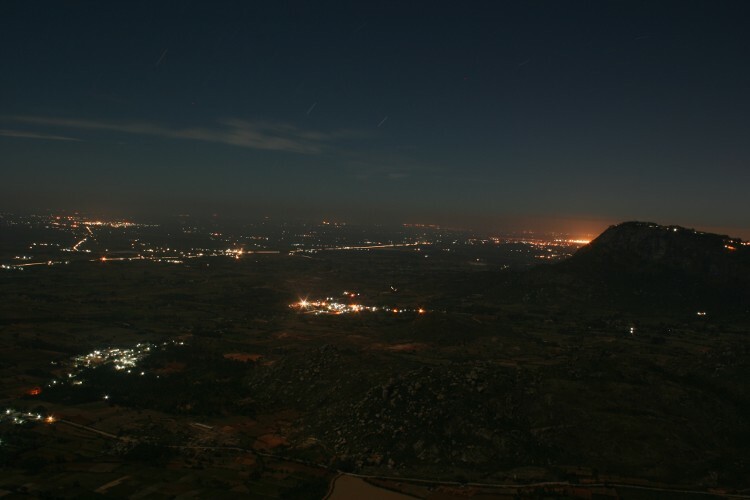 Skandagiri hill is one of the few trekking routes around Bangalore where a night trek is possible. The trek to the top of the hill takes about 2 hours, which means if you start at midnight, you should reach the top by 2:00 am and spend a little time camping at the top before the break of dawn.